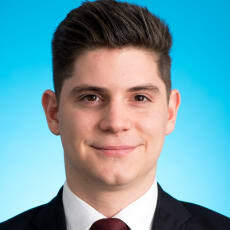 Paul Krepil has been an associate since 2016 and is a member of the dispute resolution department at the Wolf Theiss Vienna office. Paul focuses on commercial litigation and arbitration. He received a master’s degree from the University of Vienna and completed part of his studies at the University of Edinburgh. Before joining Wolf Theiss, Paul gained experience at international law firms and as a judicial law clerk in Vienna.